Make the children feel really special with these weekly/termly awards! A simple, low cost option for all schools. 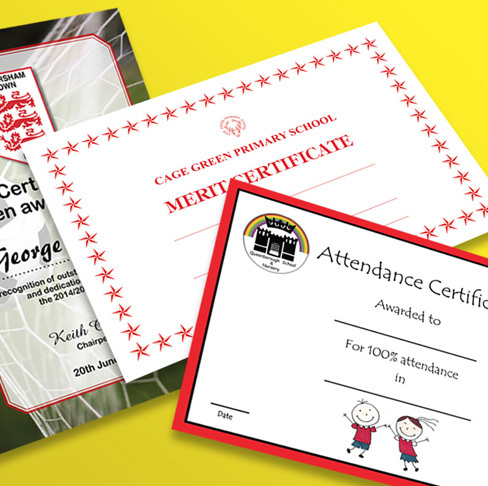 Certificates can be for good behaviour, excellent attendance, headteachers awards etc…whatever you want. There are printed on an uncoated board so that they can be easily written on, available in A6, A5 or A4 size, with printing up to four colour process. They can be designed to your specific requirement with your school logo, font and branding. Don’t spend time printing them in-house:- you will be surprised by how low the unit price can be, its simply not worth the headache!